Would you buy a house with Mold? A home inspection by a licensed Home Inspector and qualified home inspector should be the first step for a buyer who is interested in purchasing a home that might have mold growth. Sampling and testing to determine the type of mold that is growing is not as important to a buyer as identifying the source of the moisture that is causing the mold spores to grow. Knowing whether the moisture is coming from an easily repairable leaking pipe or from a more problematic and costly flooding condition will give the buyer an idea of the cost of remediation when it comes time to negotiate with a seller about repairs and remediation. A Tennessee homeowner can clean mold from surfaces such as counter tops, walls, sinks and tubs, and shower stalls with water and detergent. It is a good idea to call in a company that specializes in mold remediation to handle mold behind walls or covering large areas. RELATED: THE FOLLOWING ARE FOUR THINGS THAT YOU SHOULD LOOK FOR WHEN HUNTING FOR A FIXER-UPPER TO INVEST IN. The condition – Yes, the point of a fixer-upper is that you are buying a house that needs repairs. But that doesn’t mean the condition of the house doesn’t matter. There’s a big difference in buying a house that needs to be repainted and buying a house where the roof needs to be replaced. Certain repairs are going to cost way too much to make, making the low price of the house moot. There are three things you’ll want to look for in every fixer-upper that you consider – the foundation, the roof and the appliances. If any of these three things are in poor condition, odds are you’ll be better off not investing in that particular house. It’s a familiar story. The buyer of a Victorian home in a desirable neighborhood falls in love with the antique chandelier that hangs in the dining room. It fits the space beautifully and the crystal drops cascade light across the room. Yet, when she buys the home and moves in, the chandelier is gone. In its place stands a cheap shade, surrounded by discoloration where the chandelier once hung. The seller, it seems, loved the chandelier too; so much that she took it with her when she moved. Window coverings often cause problems between buyers and seller, but the situation is clear. Drapes can easily be unhooked, so they remain the seller’s personal property. But the drapery rods and cornices are bolted to the wall, so they must be left. Shutters and shades that are fully fitted and attached to the window should be left; decorative shades can be taken. A rug lying on the floor obviously moves house with the seller because it is not attached to the room. But wall-to-wall carpet is nailed or tacked and thus forms part of the realty sale, unless the seller excludes it in the sale contract. Similarly, linoleum tile is glued to the floor and becomes a fixture. However, given the history of TVs as personal property, no buyer should assume that a flat-screen TV will stay behind. The only safe course of action is to write in the sale contract whether the flat-screen TV stays or goes. In real estate, the message is clear: don’t assume anything you see on the property comes with the house. Ask about the items you want to keep (or remove) and write your agreement into the contract. In fact, ask for every possible discount! If you recently bought your home for $250,000, you won’t need that much coverage as it includes the value of the land. Also make sure you haven’t over insured the contents inside of your home and make certain you keep an eye on the declining value of your assets. You could potentially reduce the value of your contents policy in line with the reduced value of your assets and save some money. Avoid claiming on small losses. For example if your house is broken into and your old television that is worth $400 gets stolen, reconsider claiming on it. For starters, your deductible might be $300 and then you have to consider the fact you lose any no claim bonus. You could be affecting the cost of insurance premiums for the next four or five years by making a claim. If you have any add-ons with your insurance policy like additional jewelry insurance or accidental damage cover, periodically review them. If you have decided to sell most of your jewelry or store it in a bank deposit vault, you could save some money on your insurance by skipping jewelry insurance. If your home is well maintained and unlikely to be damaged by accidents like damage to the main services, you may not need an add-on like accidental insurance coverage. If you once had full accidental damage insurance that included pet damage, but your pet has died, make sure you remove it because these small add-ons all contribute to the cost of the policy. Make sure your home is secure and if possible, install a security alarm. 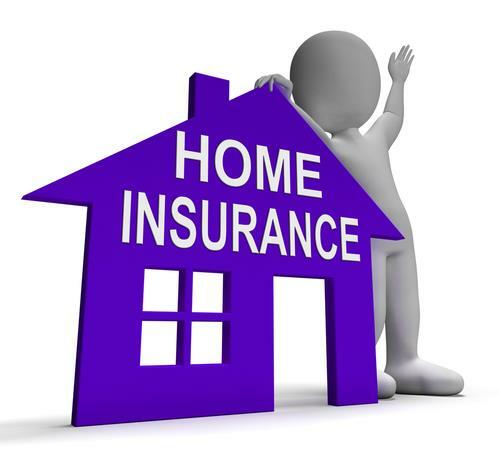 Your insurance company could give you a discount if you make them aware of the various security measures you have taken. According to multitudinous reports, the Housing market has recovered. There has definitely been a significant amount of activity over the past several years. Until recently, there have been two primary issues that have kept buyers from entering the Real Estate market in significant numbers. The first was the sharp rise in home values, causing the prices to rise rapidly. This has actually turned out to be a good thing and points to a more stable market in the future. The second issue was the lack of affordable and accessible lending. As banks continue to recover from the financial crisis of the previous decade, they have been forced to adppt more stringent lending policies. A significant portion of the financial crisis and the collapse of the real estate market was due to extremely relaxed lending practices. This resulted in masses of people assuming home loans that they could not afford. As the bubble continued to expand the industry became more and more unstable. As more loans went into default, the bubble burst. This ultimately resulted in extremely strict and restricted lending practices in which buyers found it very difficult to qualify for a conventional loan. 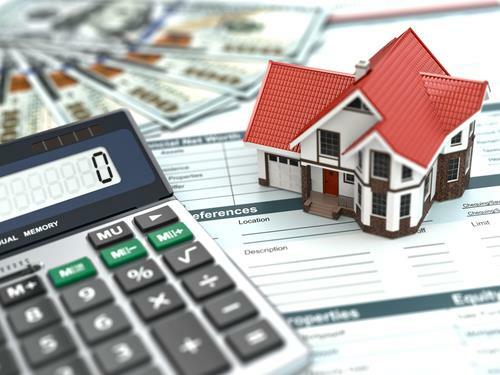 As the US economy continues to recover, banks are being forced to re-evaluate their mortgage lending criteria in order to ensure that they will be able to continue to generate revenue and profits. Some of their alternative lending opportunities are drying up and they are being forced to reconsider the home buyer. This is good news for the home buyer. Another bit of good news is the fact that there are a number of mortgages in which the buyer does not have come up with a huge down payment. There are loans that are guaranteed by Veteran Affairs — formerly known as the Veterans Administration. These types of loans are designed for veterans who qualify for VA home loans. These loans do not require any money down to obtain loan approval. These loans actually originate through private lenders, but they are guaranteed by the VA. Another great benefit with this type of loan is the fact that there are no mortgage insurance requirements. The borrower is required to pay what is known as a funding fee, but the fee can be rolled into the loan amount. The funding fee for VA loans varies, depending on certain criteria such as whether the veteran in question served in the regular military or the reserves, and whether it is the veteran’s first VA loan or a subsequent one. The funding fee can be anywhere from 2.15 percent to 3.3 percent. The Navy Federal Credit Union, which is the nation’s largest credit union in memberships and assets, offers 100 percent home financing to all of its qualified members for buying homes that will be used as a primary residence. The eligibility is restricted to members of the military, civilian employees of the U.S. Department of Defense, the military and their direct family members. The Department of Agriculture has what is known as the Rural Development mortgage guarantee program. This program is so popular that it has consistently run out of money before the end of the fiscal year. This means that the timing of the homebuyer’s application is vital. Many mortgage consultants list this program as their favorite to recommend to many of their clients. Despite the name of the program, the eligibility of this program is not confined to rural farmland. Those who may be interested should contact a mortgage broker or specialist to find out more about these types of loans. The previous listed options are limited to certain groups, meaning that only the select group that qualifies are eligible; however, the Federal Housing Administration offers a low down payment option to the general public. With a minimum down payment of 3.5 percent, a homebuyer can receive a guaranteed loan. In today’s market, about 15 percent of all mortgages are FHA insured loans. This is up by more than 12 percent from the market share that the FHA had during the housing boom. They have increased their market share due to the fact that many other low down payment options were eliminated when the housing bubble burst. There are a number of other creative ways for home buyers to receive financing without having to produce large down payments. The problem is that many of these options are not commonly known by the average person. In most cases it is wise to contact a mortgage broker or consultant to help find the best mortgage program for a particular situation. Call us to get started with your home buying process 901-730-6314. Beautiful home in the Woodsedge neighborhood. This home sits on a large private lot. The open kitchen area includes a breakfast bar, oversized hearth room, and fireplace. 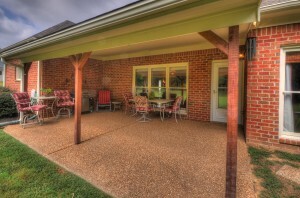 Enjoy your outdoor space on the large covered patio which overlooks your private estate sized lot with lots of trees. The master bedroom with private bath, double closets, double vanities, and separate tub and shower is located on the first floor. Upstairs includes 3 bedrooms or 2 bedrooms and a bonus room. There are many reasons we like the area we live in. It is very quiet, peaceful, and safe. In this area, you have the country feel but you are only 20 minutes from a shoppers delight at the Wolfchase area. Pride of home ownership is evident with clean and well maintained homes and yards. There has not been any reported crime. Neighbors are friendly and considerate but also respect your privacy. Major chain and proprietorship restaurants are available within 15 minutes in Oakland or Wolfchase area. A variety of cuisines are available. Grocery stores and all other conveniences such as fueling stations, Wal Mart, medical, clothing, beauty salons, and other niche stores are plentiful. Our property was a new build construction in 2007. We were immediately drawn to the nice curb appeal, interior layout of the home, and large lot size that provided neighbors but also some privacy as well. The neighborhood showed great pride of ownership and upkeep. Our area is a wonderful balance of peaceful country community living with a multitude of stores and shopping within a reasonable commute. Property taxes and utilities are very inexpensive compared to other local counties. You will also see that you can obtain a large amount of house at a very reasonable price. Cordova home for sale with no city taxes! Come see the beautiful Regency built home with an open floor plan. No city taxes which means a more affordable mortgage payment. Beautiful kitchen with breakfast bar and smooth counter tops. Wood floors in living room, dining room, kitchen and hallway. Large fenced back yard and covered patio. 4 bedrooms and 3 bedrooms and a bonus room. Master bathroom features jacuzzi tub, walk through shower, and double vanities with counter height cabinets. Come and see this beauty for yourself. This home can qualify for first time home buyer loans. To find out the most up to date information on this property call Suzanne White at 901-508-4887. The things that I love about my town are that is very safe and family oriented. Our neighborhood is great for young children and families. We love to eat at the local eateries just minutes away on Germantown Parkway. Grocery stores are plentiful and there is a Kroger just outside my neighborhood. When we brought the property we were drawn to the well kept neighborhood and all of the families with children. Our area is wonderful for young families. Our utility costs are much lower now with our new alarm system Vivint. It allows me to control my settings from my phone and create schedules for when we are not at home. My home is also energy efficient so my MLGW bill is normally under $225 a month.